I would like to read Private Gold, the latest in James Patterson’s exciting Book Shots series of short pacy novels. 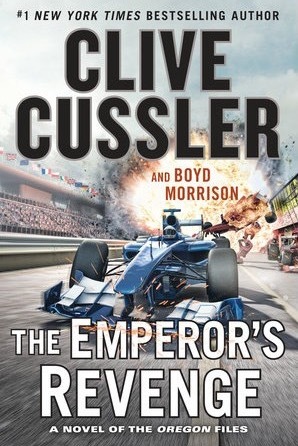 It is designed to be read in one sitting and is the latest in Patterson’s Private series of novels featuring Private Investigator Jack Morgan, who is the owner of of the worldwide Private Detective agency for wealthy and privileged clients who don’t trust the police and want a bit of discretion. The latest office Private Johannesburg was set up by Joey Montague with US Owner Jack Morgan. However Private Johannesburg is in crisis and the boss Joey Montague has decided to close it down, following the tragic apparent suicide of his partner, Khosi now Joey intends to scale down the investigation agency until He can recover from this devastating loss. However just As he is loading the removal van, Joey receives a call from an American woman who has just landed in the city and needs his help. So on behalf of Private Johannesburg Joey accepts the job of protecting this nervous visiting American tourist. However all is not what it seems–and neither is his partner’s death and Joey soon finds his life in danger when what at first seems to be a simple protection job becomes a matter of life and death, not just for his client, but for Joey himself. So In order To catch whoever is responsible for the bank heist and get the money back without having his usual financial assets, Juan must trust a woman from his past, who is an old friend from his days with the CIA, So Juan joins forces with her and they end up having to track down a mysterious rogue hacker with a brutal vendetta and a ruthless former Ukrainian naval officer. However It is only after the hunt begins that the enormity of the plan comes into focus and they discover that the bank theft is just the first step in an ingenious plot designed to cause the death of millions and bring the world’s economies to a standstill. The catalyst for the scheme is A stunning document stolen during Napoleon’s disastrous 1815 invasion of Russia. Two hundred years later and in the wrong hands, it could bring Europe to its knees, so It’s up to Juan Cabrillo and his CIA Friend to prevent a global catastrophy before it is too late. 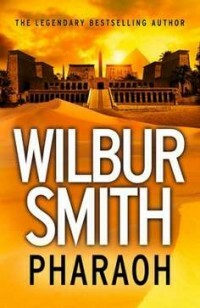 I would also like to read Pharaoh, the latest exciting historical novel by Wilbur Smith. It is number six in the Ancient Egypt series and features an old Pharaoh Tamose who lies mortally wounded following his most recent battle. As a result The ancient city of Luxor is surrounded by enemies and All seems lost. Taita, ex-slave, advisor and general of Tamose’s armies, prepares for the enemy’s final, fatal push. He is never more ingenious than when all hope is dashed and this seems like Egypt’s most desperate hour. However the timely arrival of an old ally, turns the tied and the Egyptian army feasts upon its retreating foe. But upon his victorious return to Luxor, Taita is seized and branded a traitor. Tamose is dead and a poisonous new era has begun with The new Pharaoh Utteric’s ascension to the throne. Pharaoh Utteric is young, weak and cruel, and feels threatened by Taita’s influence within the palace – especially his friendship with Utteric’s younger and worthier brother, Ramases. With Taita’s imprisonment, Ramases is forced to make a choice: help Taita escape and forsake his brother, or remain silent and condone Utteric’s tyranny. To a good man like Ramases, there is no choice. Taita must be set free, Utteric must be stopped and Egypt must be reclaimed. However this is easier said than done. The action goes From the glittering temples of Luxor to the Citadel of Sparta. 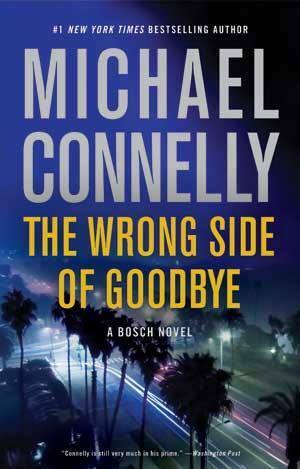 I would like to read The wrong Side of Goodbye The latest gripping thriller from global bestseller Michael Connelly. It features Detective Harry Bosch who is working as a part-time detective in the town of San Fernando outside of Los Angeles. One day Bosch gets the invitation to meet with an ageing aviation billionaire named Whitney Vance. When he was eighteen Vance had a relationship with a Mexican girl called Vibiana Duarte, but soon after becoming pregnant she mysteriously disappeared. Now, as he reaches the end of his life, Vance wants to know what happened to Vibiana and whether there is an heir to his vast fortune And Detective Harry Bosch is the only person he trusts to undertake the assignment. However Harry soon realizes that with such sums of money involved, the job could be a dangerous undertaking – not just for himself, but for the person he’s looking for. So Bosch agrees, however, as he begins to uncover Vibiana’s tragic story, he also uncovers some of LA’s darkest secrets and finds uncanny links to his own past, and decides he is determined to finds the truth. Best known for designing the iconic Supermarine Spitfire, British Aeronautical Engineer Reginald Joseph Mitchell CBE, FRAeS, was born 20 May 1895. In 1917 he joined the Supermarine Aviation Works at Southampton. Advancing quickly within the company, Mitchell was appointed Chief Designer in 1919. He was made Chief Engineer in 1920 and Technical Director in 1927. He was so highly regarded that, when Vickers took over Supermarine in 1928, one of the conditions was that Mitchell stay as a designer for the next five years. Between 1920 and 1936, Mitchell designed 24 aircraft including light aircraft, fighters and bombers. As Supermarine was primarily a seaplane manufacturer, this included a number of flying boats such as the Supermarine Sea Eagle, the Supermarine Sea King, the Supermarine Walrus and Supermarine Stranraer. 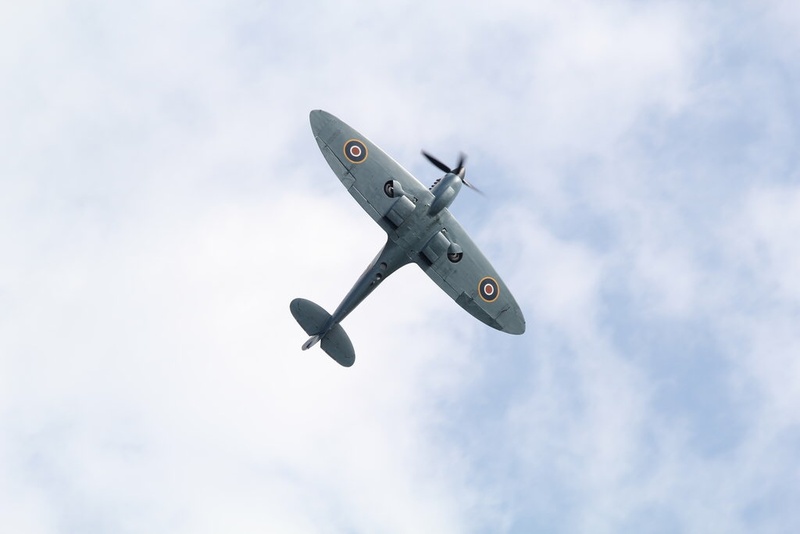 However, he is best remembered for his work on a series of racing aircraft, which culminated in the Supermarine S.6B, and the famous Supermarine Spitfire short range Interceptor/fighter. The Doors became one of the most controversial and influential rock acts of the 1960s, mostly because of Morrison’s lyrics and charismatic but unpredictable stage persona. The Doors released eight albums between 1967 and 1971. All but one hit the Top 10 on the Billboard 200 and went platinum or better. Their self-titled debut album (1967) was their first in a series of Top 10 albums in the United States, followed by Strange Days (also 1967), Waiting for the Sun (1968), The Soft Parade (1969), Morrison Hotel (1970), Absolutely Live (1970) and L.A. Woman (1971), with 20 Gold, 14 Platinum, 5 Multi-Platinum and 1 Diamond album awards in the United States alone. By the end of 1971, it was reported that the Doors had sold 4,190,457 albums domestically and 7,750,642 singles. The band had three million-selling singles in the U.S. with “Light My Fire”, “Hello, I Love You” and “Touch Me”. After Morrison’s death in 1971, the surviving trio released two albums Other Voices and Full Circle with Manzarek and Krieger sharing lead vocals. The three members also collaborated on the spoken word recording of Morrison’s An American Prayer in 1978 and on the “Orange County Suite” for a 1997 boxed set. Manzarek, Krieger and Densmore reunited in 2000 for an episode of VH1’s “Storytellers” and subsequently recorded Stoned Immaculate: The Music of The Doors with a variety of vocalists. Although the Doors’ active career ended in 1973, their popularity has persisted. According to the RIAA, they have sold 33 million certified units in the US and over 100 million records worldwide, making them one of the best-selling bands of all time. The Doors have been listed as one of the greatest artists of all time by many magazines, including Rolling Stone, which ranked them 41st on its list of the “100 Greatest Artists of All Time”. The Doors were the first American band to accumulate eight consecutive gold and platinum LP’s. In 2002, Manzarek and Krieger started playing together again, renaming themselves as the Doors of the 21st Century, with Ian Astbury of the Cult on vocals. Densmore opted to sit out and, along with the Morrison estate, sued the duo over proper use of the band’s name and won. After a short time as Riders On the Storm, they settled on the name Manzarek-Krieger and continued to tour until Manzarek’s death in 2013 at the age of 74. Three of the band’s studio albums, the self-titled debut, L.A. Woman, and Strange Days, were featured in Rolling Stone’s 500 Greatest Albums of All Time, at positions 42, 362, and 407 respectively. According to The Washington Post’s Martin Weil, the band rose to the center of the counterculture of the 1960s. The Doors were inducted into the Rock and Roll Hall of Fame in 1993.